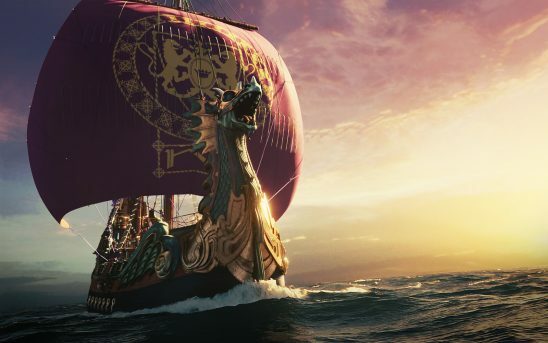 The 2010 The Voyage of the Dawn Treader is surprisingly good considering that the plot had to be reshaped from an episodic structure into a movie structure. Travel is the bane of many speculative fiction works. The hero must get somewhere to achieve their destiny, and all too often, the time spent tromping around feels like an annoying delay. But some stories are about travel. In these fictional travelogues, where the hero needs to go is less important than what they do at each stop along the way. 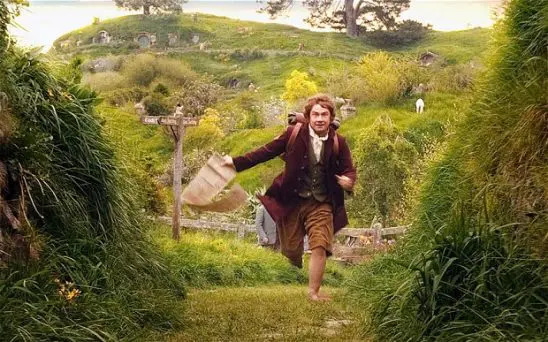 Great examples of travel stories include The Voyage of the Dawn Treader, The Odyssey, The Hobbit, Gulliver’s Travels, and The Wonderful Wizard of Oz. 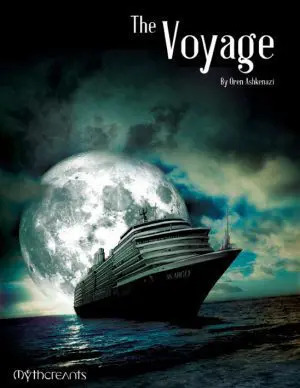 These travel stories are mostly episodic in nature, and they are an excellent choice for writing a light but long work. But because they’re structurally differently than the typical plot of a novel, writers don’t always get enough guidance on how to put them together. Let’s fix that by going over the steps to create an entertaining story about travel. The Odyssey depicted a strange new thing on every island. First and foremost, travel stories need a setting that can keep the audience entertained throughout the whole journey. While we always encourage storytellers to foster novelty in their worlds, simply giving a world a cool premise isn’t enough for this. If your world is interesting because it’s the dreamscape of a god, that will be fascinating at first, but by the end of a novel it will be old hat. To keep up the novelty, worlds for travel stories must be highly varied. That means it’s not so much a world with one overwhelming mood or concept, but pockets of radically different places within a larger framework. Going back to my dreamscape concept, if the characters were traveling from dream to dream, each dream with its own reality, that would be a much better fit for traveling. This doesn’t mean that the whole world shouldn’t have any theming, just that the theme for the whole world takes a back seat to the variations or subthemes inside it. Discovering small, highly varied places generally means each place is very isolated. This isolation also provides the thrill of going somewhere few people like you have been, and it explains why the places are a mystery. 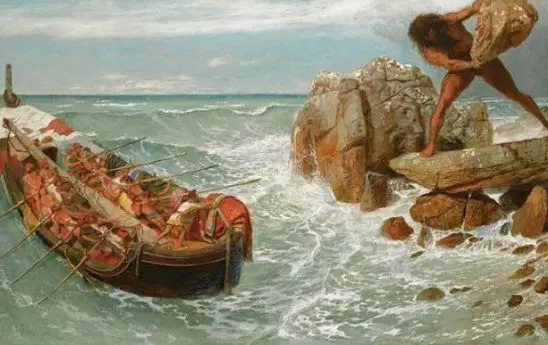 For this reason, many fictional travelogues are about sea voyages; the islands the heroes visit are naturally isolated. Space travel also works very well for travel stories. Otherwise, you may want to create some natural or magical barriers between the places in your world. If your world is low tech and underpopulated, it’s a lot easier to explain why no one crosses a great forest or tall mountain. In The Hobbit, the dwarves hope to retake their ancestral homeland, and Bilbo is persuaded to come for a cut of the profits. Putting together pieces of a puzzle that are scattered through the world. Searching for a powerful artifact or a long-lost loved one. Going on a pilgrimage or migrating to a new home after a disaster. The heroes can have different reasons for going on the journey, but their motivation should be powerful enough to keep them from turning back when things get tough or scary. However, in most cases you don’t actually want the quest to be urgent. If it is, the characters won’t be able to stop and catch their breath at each place for a day or two. There’s nothing that takes the fun out of exploring like worrying someone will die because you dawdled. For this reason, running away from something doesn’t make a great travel throughline. However, the heroes’ quest can have a deadline as long as it feels like they have ample time to meet it during the early phases of the story. You can tighten the deadline later, raising tension toward the end. If you’d like a higher-tension story with more urgency, that can work okay, but the travel experience will be different. Instead of leisurely stopping to rest, any delays must be caused by insurmountable barriers and aggressive locals. Generally, that means the heroes are getting captured or otherwise engaging in higher-stakes conflicts as they travel. Because the travelers can’t stop just to enjoy a nice meal with a strange host, the whole story will have to focus more on the throughline and less on the experience of travel. Some portions of The Lord of the Rings are like this, but even in The Lord of the Rings, destroying the ring is not as urgent as it is dangerous. Along with the main quest, give yourself fodder for internal conflict. Character arcs can easily be carried through a travel story and will give the journey meaning and unity of purpose. The variety of a travel story ensures that every character is taken out of their element and provides a wealth of potential learning experiences. 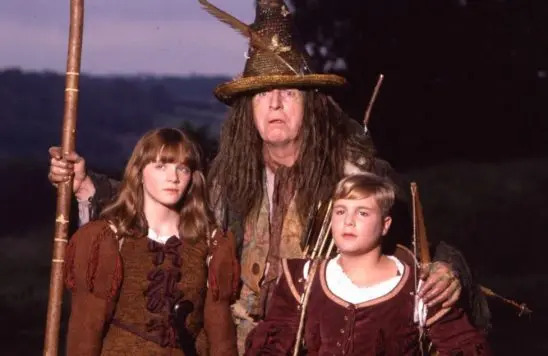 C. S. Lewis has a lot of trouble keeping the characters in his Narnia books balanced and distinct until he gets to The Silver Chair, when he downsizes to three main characters. Next, make sure you have the right cast of characters for a travel story. In these stories, all the important characters are usually present during most scenes. The number of characters in a scene quickly grows too large, and then characters fall out of the spotlight or start blurring together. You can keep that from happening by prioritizing and planning ahead a little. First, while you can have a large ship’s crew or a whole phalanx on your journey, they can’t all be important. If a large group is traveling, you’ll want to focus on up to four of them as your major characters – less if you’re planning to pick up important characters along the way. If you’d like more, you may want to think through how they are going to switch off with each other. Since travel stories are episodic, you could make some of the stops on the journey focus on a specific character. Alternately, you could find reasons for your characters to split into different teams during the stop. However, it’s unusual for travel stories to have protagonists that are separated for longer than one stop, and I don’t recommend it. For one thing, travel stories are already loosely held together. For another, if a viewpoint character visits someplace that’s already been depicted, it’ll have much less novelty the second time. It’s too easy to slow the story down this way. If you are planning on adding characters to the group as they travel, aim to have everyone together by the midpoint of your story. It will be hard for the audience to get to know late-joining characters, and by that point you’ll want to focus on bringing the story to a close rather than opening new plot threads. The Wizard of Oz (1939) is a good model for adding characters. After Dorthy sets off, the next three stops add one character each. Then they all have adventures together. As I mentioned, all of your characters can have different reasons for joining the travelers. However, you’ll have more room to include interpersonal conflict if everyone has their own reasons to continue. In Harry Potter and the Deathly Hallows, Ron and Hermione are on the quest just to support Harry. When Ron and Harry get in a fight, Ron naturally leaves, and only a contrivance allows Ron to find Harry and Hermione again. It’s better if characters can get in as many fights as you want without separating. In Voyage of the Dawn Treader, Eustace doesn’t get along with anyone, but he’s not going to remain behind on some deserted island. Last, your important characters must be distinct. Contrasting personalities will keep them from blurring together. Each one should have a unique skill that makes them necessary during the journey. Maybe one person is the best warrior, another knows how to survive in the wilderness, and another is a skilled diplomat. Double-check that no one is simply being dragged along or is getting drowned out by more-skilled characters. 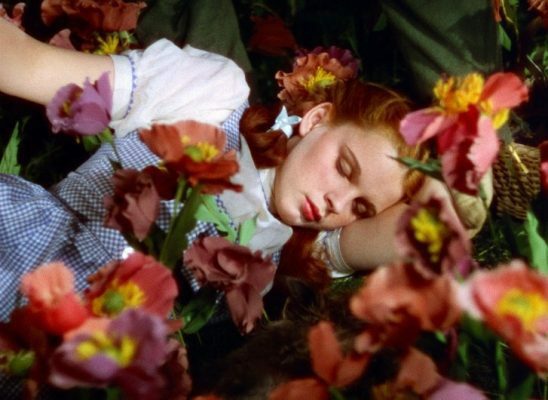 After watching The Wizard of Oz, I was disappointed to learn a field of poppies won’t actually make you sleepy or high. Next, it’s time to plot the episodes in the story. This can include both official stops the characters make at an island, planet, or village, and interesting conflicts they have while they are out traveling. Between these events, you’ll want to move the story along quickly. Describe a few novel things the characters haven’t encountered before, and gloss over everything else. How many episodes you have is very flexible. It depends on the length of your story and how quickly your characters move from place to place. More places allow for higher novelty and a lighter story, but fewer is more appropriate if your characters are going to get in higher-tension conflicts that take longer to resolve. For a novel, I might expect five to twelve episodes. If you have a target length for your story, it’s not usually hard to cut or add episodes – just keep that in mind as you’re going. Those people are in trouble! Let’s help. A big storm is headed this way; hold on tight. Everyone is super friendly, but there’s something weird about this place. How do we get past that dangerous landscape feature? How did those people get hung upside down and turned to stone? We’re out of food and water, time to do desperate things. While each episode must feel distinct from the rest, it’s usually possible to do that while having similar plots for several episodes. Maybe one time the travelers help a single person being chased by a monster, and then later they help an entire town that’s being attacked from beneath the earth. 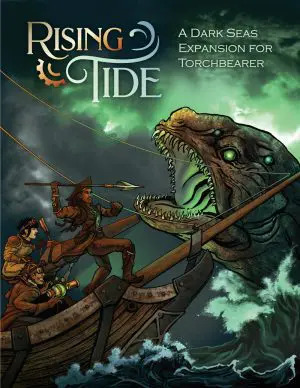 Varying the length of episodes is often helpful, so you can have a briefer monster attack out in the wilderness and a longer mystery in town. It’s okay to let your heroes enjoy their visits to all the unique places on your map, especially if they’ve just had a tough time on their travels. Just make it creative. You might describe how they get a restful night’s sleep in a giant flower, or how the town’s tiny inhabitants serve them small but delicious food. Put in fascinating details that make your audience feel like they got to visit themselves. But whatever you do, don’t dwell on any thing or place for too long. Travel stories depend on novelty for entertainment, and novelty fades fast. The Lord of the Rings is a good cautionary tale. The book has some great qualities, but many – if not most – people find it too boring to get through. Tolkien will put in wonderfully interesting things and then go on about them until they get old. Avoid this by keeping your story tight. 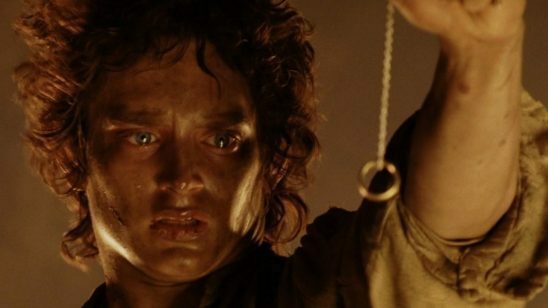 Frodo ultimately fails at completing his quest himself, but he is saved by a prior act of mercy toward Gollum. While travel stories are highly episodic, it’s still helpful to escalate the tension as the story nears the finish line – generally the last third of the work. This gives the audience the sense that these separate stories are building up to something. You have two basic options for doing this. First, you can make the story less episodic, focusing more on the quest the characters are on. Depending on what the quest is, you may need some twists and turns to make it more important. Consider raising the stakes, tightening the deadline, or otherwise changing the nature of the quest to make it a bigger driving force in the story. Perhaps an enemy learns about the heroes’ quest and sends in warriors to stop them. Another way to escalate is to make the travel episodes more dramatic. The landscape can become increasingly hostile, or it can get weirder. The heroes might be so far from their original plane of existence that no one they meet has even heard of humans (or whatever the heroes are) before. You might also consider eliminating rest time between episodes. Toss the heroes out of the frying pan and into the fire. It’s also helps to leave increasing signs that the characters are closing in on the end of their journey. If they are searching for a mythical city, they might encounter an increasing number of people who have heard of it and then finally meet someone who’s been there. If they are following a person, they might find their quarry’s lead is getting smaller. When they finally reach the place or object of their quest, it’s time for the story’s climax. This should follow all the rules of a regular climax – challenge the heroes to earn their resolution by solving the puzzle or making a hard choice. However, for a travel story, it’s particularly important that the object of the quest not be what everyone is expecting. Because the audience has been looking ahead to the end of the quest for the entire story, giving them exactly what’s expected will be a letdown. A good formula is to take away their goal at some level and then make the heroes adapt and adjust. Perhaps the mythical city they sought has been a ruin for a thousand years. But then they cleverly uncover inscriptions that give the heroes what they really need. A lost parent may not be the great warrior a searching child was hoping for, but they could still form a meaningful relationship. Then as you wrap the story up, don’t forget to give your heroes a quick and easy way to get back home, assuming they aren’t at their new home. This can be a little tricky without making their journey feel pointless – giant eagles come to mind – but a little creativity goes a long way. In The Silver Chair, the characters go underground and sail on an underground lake for a ways, ending up right underneath their starting point. In The Long Way to a Small, Angry Planet, the heroes have been hired to create a new wormhole – but they have to journey to the far end first in order to build it. When in doubt, give a friendly local at the destination some rare technomagic for fast and safe travel. Remember that a travel story is only as engaging as each stop along the way. Think of your story as a TV show, where each episode needs a fascinating premise and a strong plot arc. That way even though the overarching throughline may not be as gripping, your audience will enjoy the story too much to stop. This has got nothing to do with anything, but Eustace in Dawn Treader looks EXACTLY like my nephew. This was the article I didn’t know I needed to read. I hadn’t even considered that my story was specifically a “travel story”, nor that this would separate it from other plot structures. I think I knew somewhere in the back of my head, but I hadn’t planned around it too much. Doing lots of research will also help with travel stories, as real life provides plenty of inspiration for locations to add to your stories. And by research, I mean holidays.